Also known as the orange stuff! 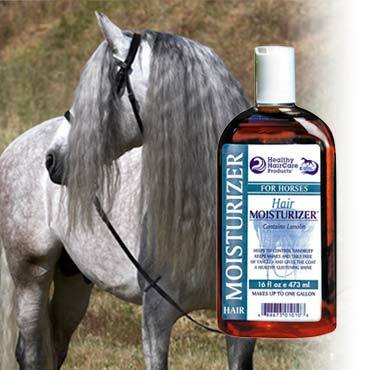 I have been using this mane/tail/coat moisturizer for over 15 years. It is economical, easy to use, not slick or sticky, smells pretty good, and just plain works for daily moisturizing. You simply mix it one part Healthy Hair Care to eight parts water in a spray bottle, and spray your horse from head to tail. I make sure to get it into the crest of the neck and tailbone to prevent dandruff. I will wipe it into the coat with a soft brush. You can use it on wet or dry hair, and it will not make anything slick. I use it after every ride, and I am constantly hearing compliments on my shiny horse. I agree, I love this moisturizer! I use it on all of my horses and client’s horses every day. One gelding in particular came in with a completely burned coat, using the moisturizer every ride brought it around within weeks before the good diet ever made its appearance!